Today the Midwest Augustinians have 11 men in formation in the Midwest Province and 32 across the United States. This truly is GREAT news for all – for the universal Church, for us, for our children, and for their children. "I joined the Augustinians because St. Augustine's restless search to find peace and truth resonated deeply with me. When I read his Confessions, I was amazed by how much I could relate to the struggles that he went through, and the doubts about the Catholic faith that he had." "The OSAs are holy men, but not just holy. They are authentic & true in fraternity & in the Gospel message. From laughter to prayer, I experience the sanctity of community life & hospitality, from the Eucharistic table to the table of fellowship." "When I first read the Confessions of Augustine, I recognized myself in Augustine's words. The questions he asked himself about himself were the questions I was asking myself as well. As I read his conversion, my heart was changed as well. When I first met the Augustinians, I did not recognize myself in them in the same way at first. Over time, a different relationship was forged: out of many differences, we were becoming one heart." "I joined the Augustinians because I had a strong interest in the religious life and priesthood after attending an Augustinian high school (Providence Catholic) and parish (St. Jude). This experience introduced me to several wonderful Augustinian friars and showed me that there is a great joy in this way of life. The story of St. Augustine—his waywardness, searching, conversion, and ministry in the Church—is an inspiration for me and is a powerful witness to God’s constant reaching out to us and our thirst for God." 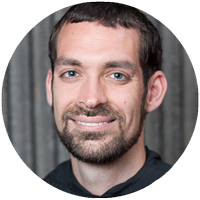 "I joined the Augustinians because I felt called to share communal prayer and life. Besides being drawn to the example of Augustine himself, I was also drawn to the long heritage of the Augustinians and the many ways that they serve." 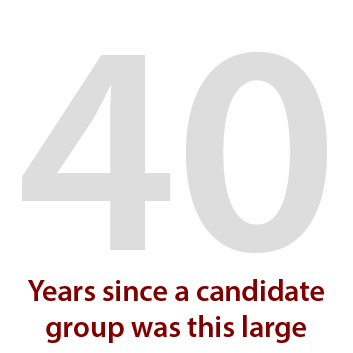 "I joined the Augustinians because I had a strong desire to the priesthood and religious life. I searched through many different orders, but felt 'at home' whenever I was with the Augustinians. I came to know the Augustinians through both Fr. Tom McCarthy and Fr. Bernie Scianna who have helped out at my childhood parish for years." "I joined the Augustinians because of who they are and what they witness. 'United harmoniously in brotherhood and spiritual friendship, we seek and worship God and work for the service of God's people' (Constitutions no.13). 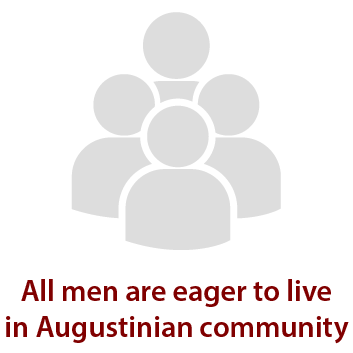 Augustinians are men of heart, united in fraternity. Finding God in our inmost selves, we witness as a community the active search for God's word."